New Listing: 13-1781 Ord Road, Brocklehurst, Kamloops, BC $179,900. 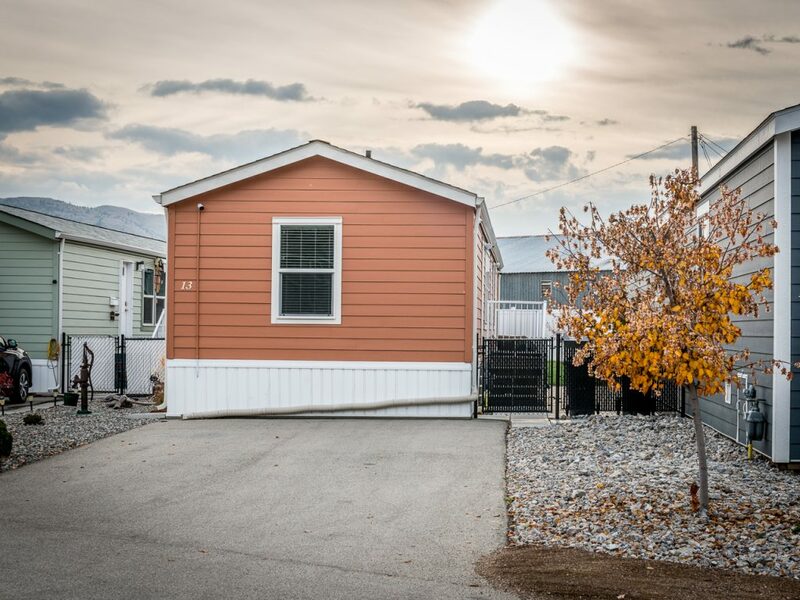 Beautiful and well cared for 3 bedroom, 2 bathroom home in the “Silvertip Estate’s” Mobile Home Park. This functional and efficient open floor plan features a spacious living area with 16’ vaulted ceilings upgraded kitchen with newer LG stainless steel appliances, stylish tiled backsplash and kitchen island for extra storage. The generous sized master bedroom features an ensuite with dual vanity, walk-in shower and extra storage space. There are 2 nice sized bedrooms each with closets, 4 piece main bathroom, dedicated laundry room and private yard that is partially fenced. Home has been recently painted, 2 storage sheds, central a/c and all appliances are included. Centrally located and near schools, airport, shopping, recreation and transit. Park will sign a site lease and pets are allowed with park approval. Perfect starter or retirement home!